The UK's official unemployment figure has risen to 2.68 million in the three months to November, or 8.4% of the population, representing the highest level in 17 years, according to new figures today. Statistics from the Office for National Statistics unveiled this morning (18 January) highlight the number of unemployed 16 to 24-year-olds have increased by 52,000 during the period to 1.04 million, or 22.3% of that age group. The number in full-time employment fell by 57,000 over the quarter period, but there was a 75,000 increase in the number of part-time workers. Meanwhile, the IPA's quarterly Bellwether Report for the media and advertising sector, due out tomorrow, is expected to reveal falling confidence in marketing executives as uncertainties around the UK and wider Eurozone economies remain. However, Paul Farrer, founder of media recruitment firm Pfj, said it's not all doom and gloom for the sector. The agency's own figures suggest 2012 has already started stronger than 2011 ended, and noted that there continues to be a "talent demand" for media executives, from graduate level up. He said: "The sad fact remains there are lots of people who do not have the neccesary skills for today's job requirements. Those that have [the skills] continue to be in high demand. The blind spot for media planners and buyers continues to be that no university courses are tailored to specifically preparing them for their roles." Last week, Culture minister Ed Vaizey lent his support to the IPA’s latest recruitment initiative, The Creative Pioneers, as part of a drive to stimulate industry growth. Vaizey said: "It is essential talented people and new innovative businesses have the necessary help and support to be a success in today’s rapidly evolving digital and technological environment. The Creative Pioneers competition can make a real contribution to that." 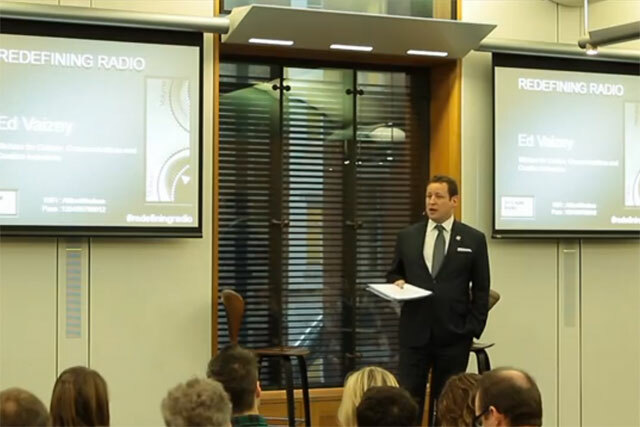 Read more on Ed Vaizey recent activities here. IPA president Nicola Mendelsohn noted: "This country thrives on creativity and making technology work for business, and bringing on budding entrepreneurs or anyone with a can do attitude through a competition like this will help us fast track the next generation and help get the economy back on its feet."